Thu, Feb 7, 2019, 09:25 pm SL Time, ColomboPage News Desk, Sri Lanka. Feb 07, Colombo: Prime Minister Ranil Wickremesinghe has expressed his appreciation to Police Special Task Force Commandant Senior DIG M.R. Latif over the control of narcotics and related crimes. In a letter of appreciation to the SDIG Latif, the Prime Minister said the Special Task Force has taken great strides in eradicating the drugs menace and crimes affiliated to drugs from the country and the recent arrest of drug racketeers are significant achievements. Prime Minister Wickremesinghe said he highly values the brave actions of the Special Task Force and that such efficient officers are a valuable asset to the Police Department. In the letter directed by the Prime Minister to Senior DIG M.R. Latif the Prime Minister made a fervent request to express his gratitude to all officers of the Special Task Force who made a vital contribution to the recent operations that were carried out. 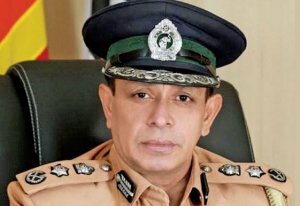 Senior DIG M. R. Latiff who was scheduled to retire on February 4 after 40 years in service has been granted a one-year service extension by President Maithripala Sirisena.